Everybody loves a plain white Tee Shirt. There is, quite simply, no better pairing then a T-Shirt and jeans in my opinion. Well, today I am having some fun with the classic white Tee. 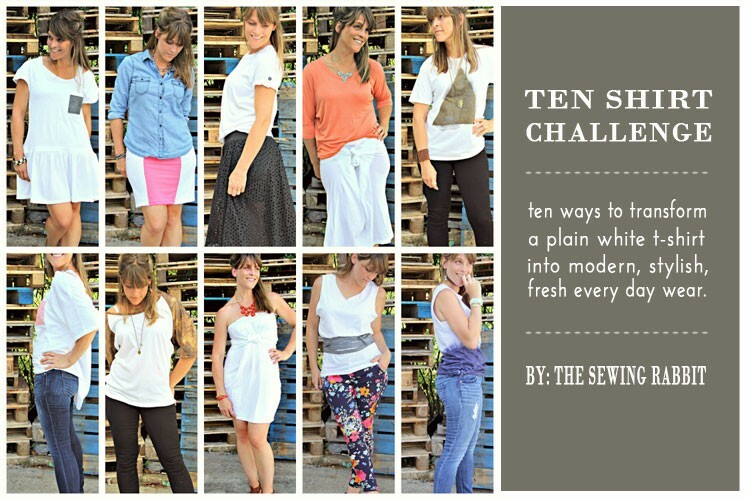 I took a plain white tee shirt, and styled it 10 different ways. Some involve sewing, some are a simple twist, tie, and go. But all are simple, and something you can do! 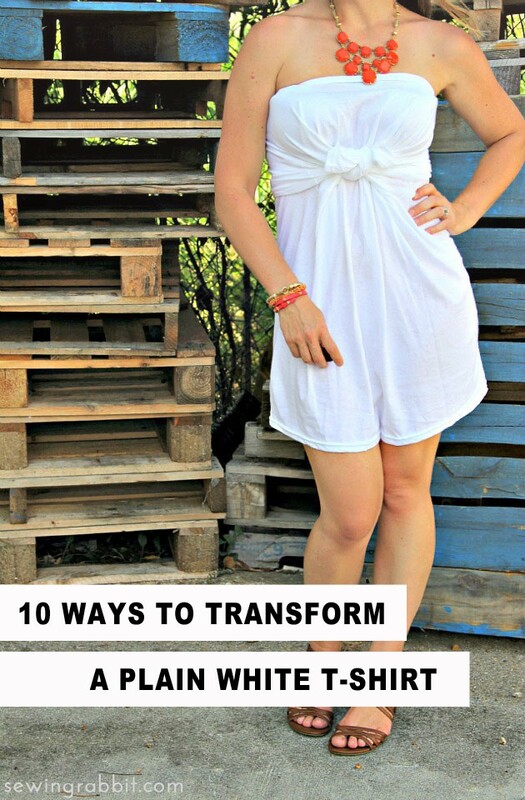 Ten ways to transform a plain white tee into modern, stylish every day wear. Add button tabs to sleeves. 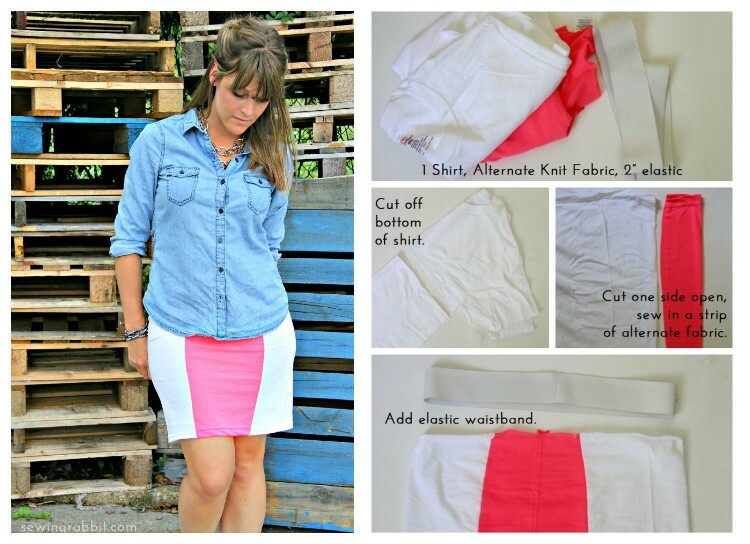 Wrap it around – instant skirt. 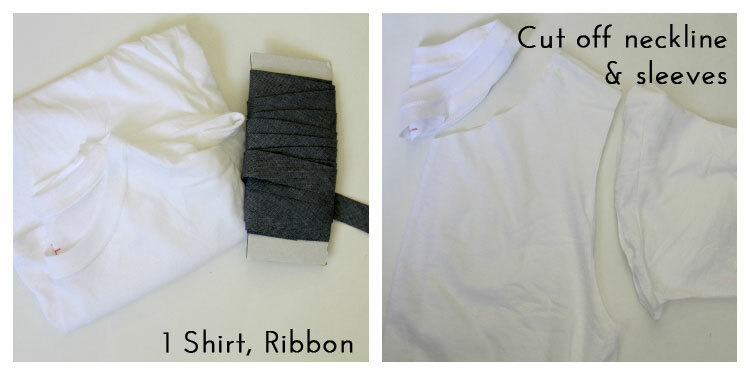 This look was achieved by simply tying on the T Shirt, using the same ‘Long Sleeve’ method found here. 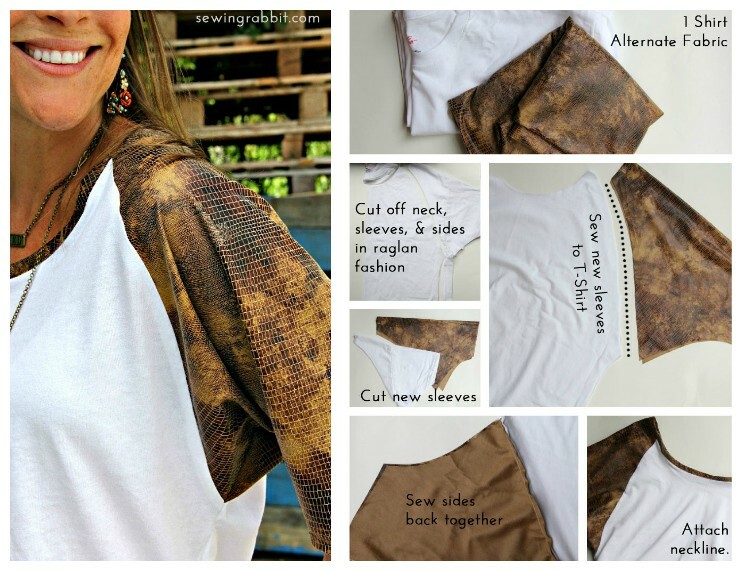 Hand Painting on Fabric gives your tee shirt an instant boost! 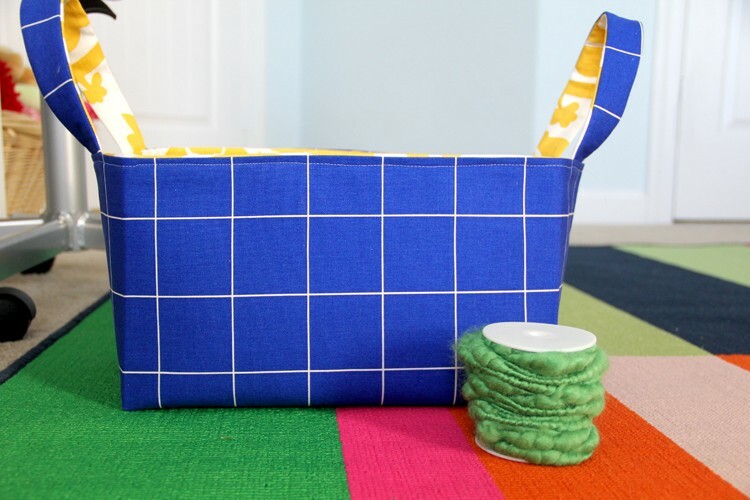 Try adding a bit of water to your fabric paint for a water-color effect. 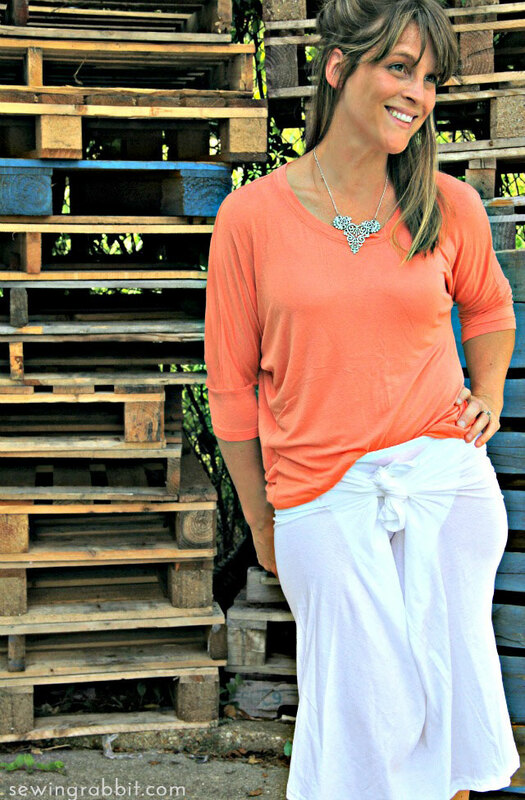 Off the shoulder hi-low dolman. 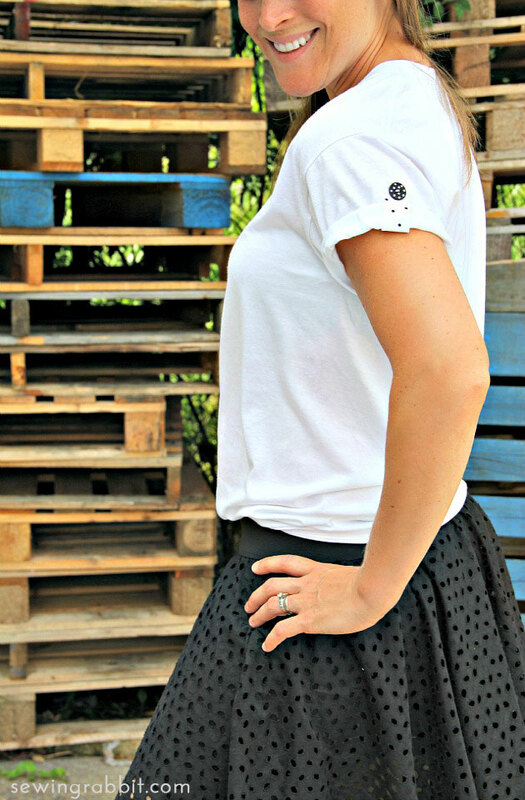 Raglan tee with fun animal print fabric pairing. Wrap around – instant dress. 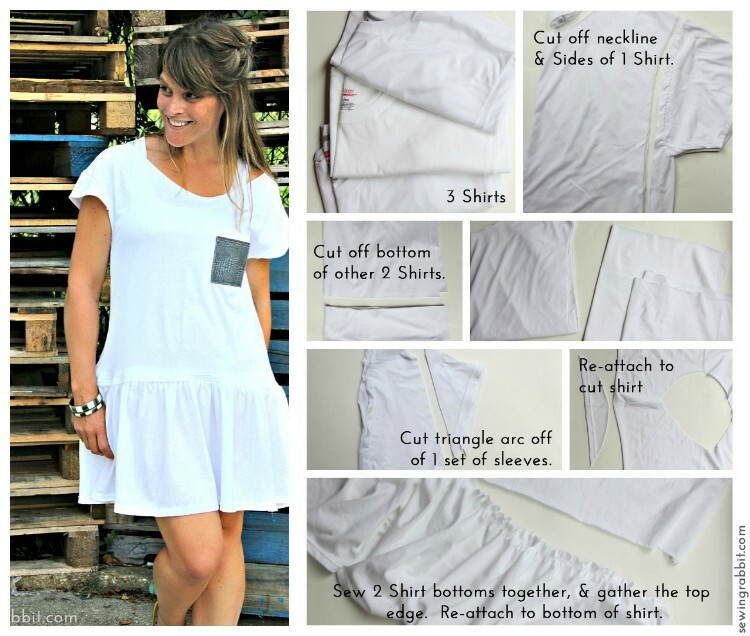 The Tee Shirt Dress involves no sewing at all, simply slip on, tie sleeves, and go. 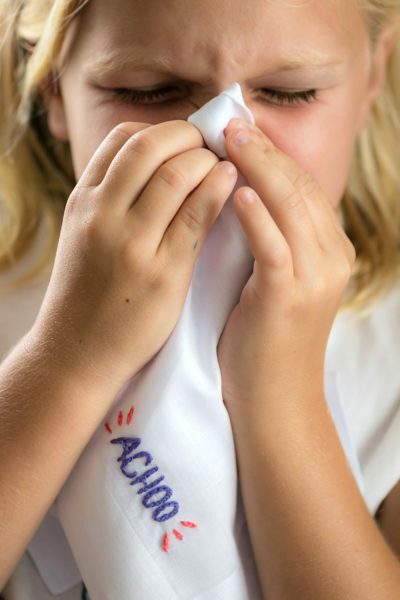 A great tutorial can be found here. 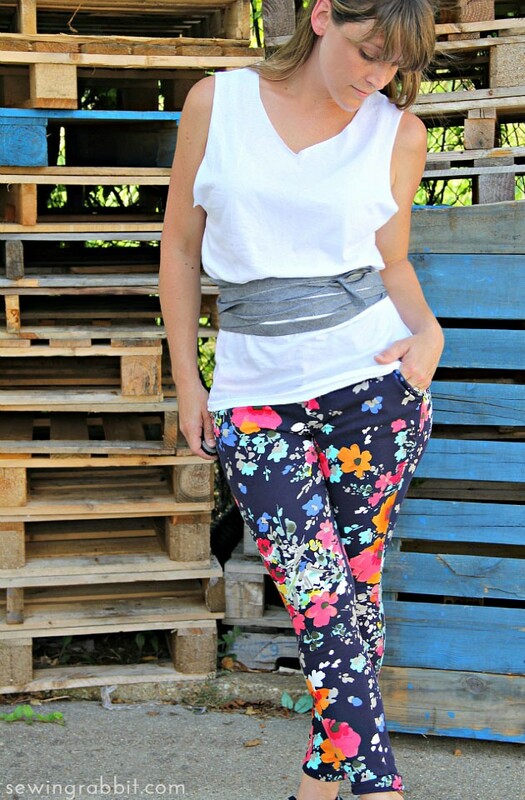 Loose fitting tank, with ribbon belt. 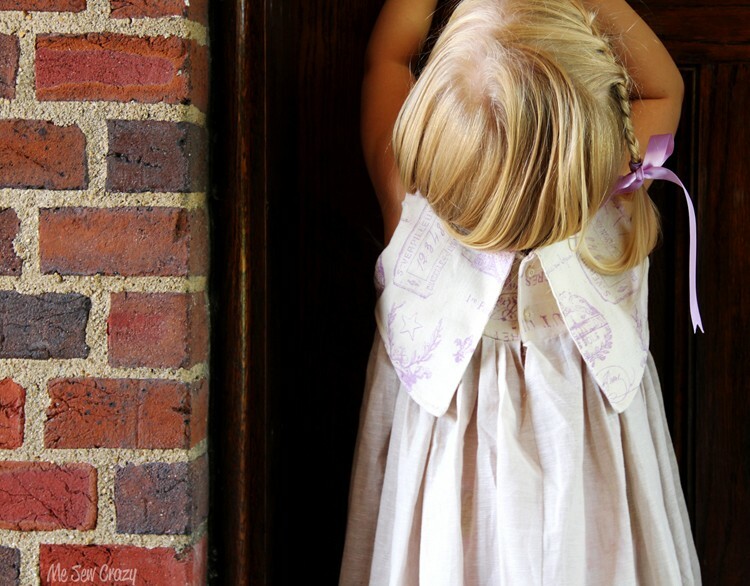 Slip tank on, and wrap your ribbon around your waist and tie. (I used denim bias tape). Knot tie sides with RIT dye. 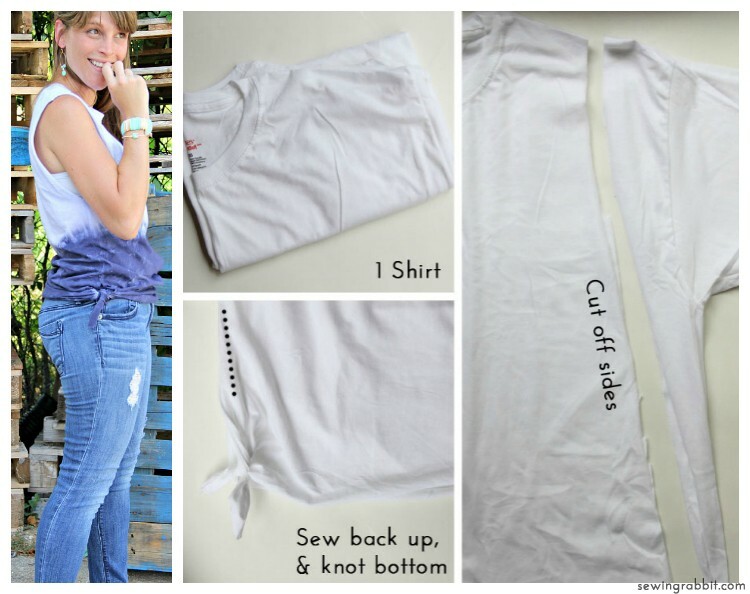 Sew up the sides as high or low as you want for more or less coverage. 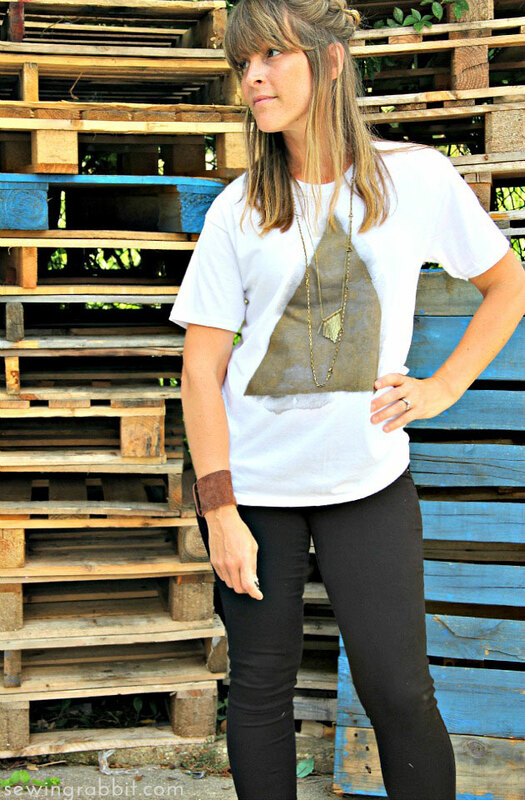 Once you are done sewing back together, simply dip dye using your favorite RIT color, and you have a fabulous new sleeveless tee for Summer! 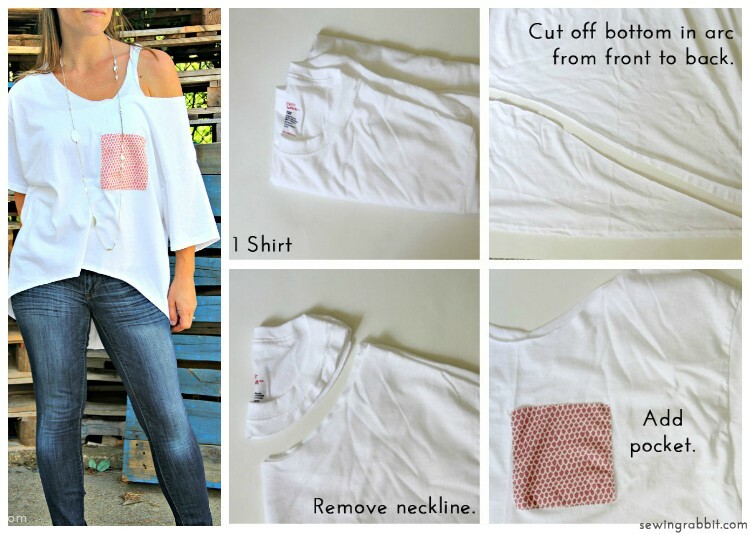 And there you have it, 10 fun and easy ways to transform any white tee shirt into something fresh and new. 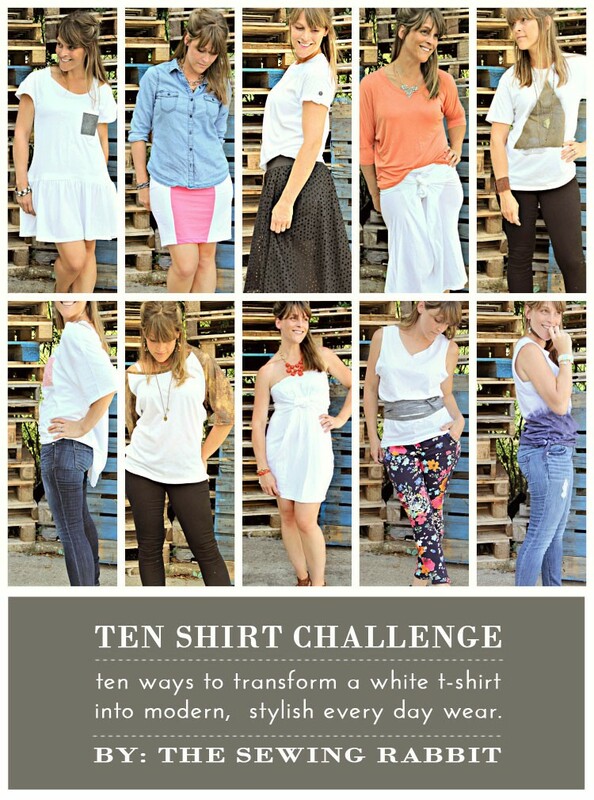 Who doesn’t love a good Tee Shirt Upcycle, or ten. Plain white tees never looked so good. Wow! Great ideas! My favorite is the fabric paint one. Love that watercolor effect. You are so creative! Um, you are a genius. This is going to go viral. BRILLIANT! You are so cute and stylish! I love this idea! So fun Jess! You look incredible as always! Great looks — all of them! I am already thinking of copying your contrast raglan sleeve version. JESSICA!!! You look beautiful in every single one of your extra brilliant creations! And the best part is they look totally do-able! You did the hard part in thinking them up and experimenting. So clever of you! Can’t wait for what’s next! Thanks so much Aunt Deb! You are awesome, I love you!!! LOVE THIS!!!! It makes me want to try it! I love this Jess– way to go! Where did you get your shirts? Finally had a quiet minute to study all of these. 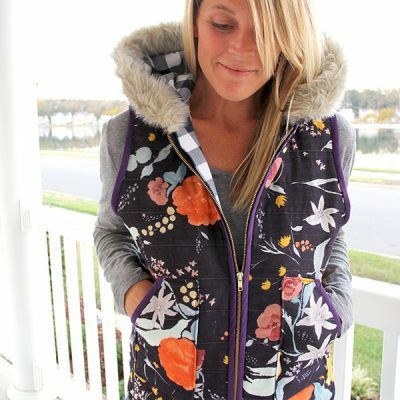 Love them – I think the animal print raglan sleeve is my favorite – although the expression on your face in the RIT dye one is fabulous, also. You are on fire, girl!